Held at The Forum in Inglewood, there were performances by Flo Rida, Jason Derulo, Ne-Yo and Serayah. Kevin Hart who was nominated for three awards scooped an accolade at the annual Teen Choice awards, which hosted by WWE Superstar John Cena and Victoria Justice. The actor/comedian received the Choice Summer Movie Actor award for comedy “Central Intelligence” in which he starred alongside Dwayne Johnson. Other winners included “Captain America: Civil War” star Chris Evans who picked up the Choice Sci-Fi Movie Actor and “Neighbors 2” co-stars Chloe Grace Moretz and Zac Efron who took home the comedy movie acting prizes. 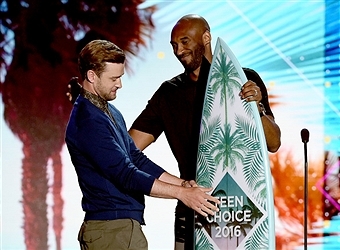 Five-time NBA champion Kobe Bryant presented the Decade Award to longtime friend and global superstar Justin Timberlake, who has received 23 Teen Choice awards throughout his career. The results of the Teen Choice 2016 and Rock The Vote “Choice President” youth poll also were announced and Hillary Clinton won. 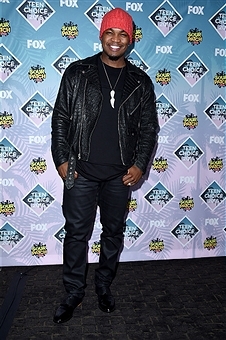 The Teen Choice Awards featured performances by Flo Rida, Jason Derulo, Ne0Yo (pictured right), Serayah and was held at The Forum in Inglewood, Calif.